"THE RESULTS WERE INSTANT, AND FAR GREATER THAN WE IMAGINED. WITHIN HOURS OF LAUNCHING, DEVELOPERS STARTED COMING TO THE SEO TEAM'S DESKS ASKING FOR SEO REQUIREMENTS. WE JUST FINISHED OUR FASTEST GROWING QUARTER." 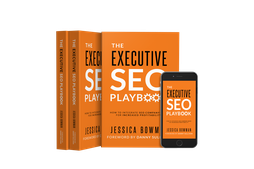 "WITHIN WEEKS SEO & DEVELOPMENT WERE IN SYNC"
THE MOST VALUE I GOT FROM THE TRAINING IS *HOW* JESSICA DELIVERED IT. SEO afterwards. I can build on that. Identified THESE INSIGHTS ON OUR OWN"
Ready for your happy ending?